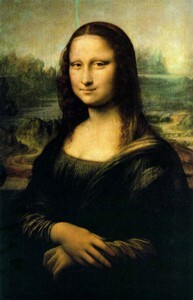 The Italian artist, engineer and scientist Leonardo da Vinci (1452-1519) also studied anatomy, physiology and medicine. Leonardo da Vinci kept secret notebooks in which he wrote and sketched his ideas and observations, in handwriting that only he could read. So keen was he to study the human body that he went out at night to dissect human corpses. For more information go to Leonardo da Vinci. 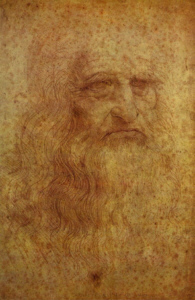 Over 300 years before James Parkinson formally described Parkinson's Disease, Leonardo da Vinci saw people whose symptoms coincided with those seen in Parkinson's Disease. Leonardo wrote in his notebooks that "you will see.....those who.....move their trembling parts, such as their heads or hands without permission of the soul; (the) soul with all its forces cannot prevent these parts from trembling." In a translatiom of Da Vinci's notebooks "The movements of paralytics of those benumbed by cold, whose head and members move without control of the soul, who cannot stop the movements." The combination of difficulty with voluntary movement ("paraletici") and tremor ("tremanti') leave little doubt of the diagnosis of Parkinson's Disease. At the end of his life Leonardo was unable to paint due to the loss of control of movement in his hands. 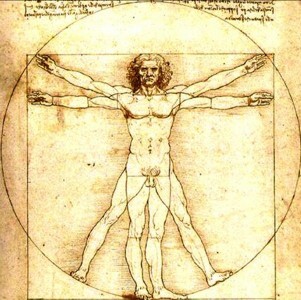 It has been suggested that, by then, Leonardo had the disorder himself. Due to most of his notebooks remaining secret for centuries, Leonardo did not receive any credit for contributing to the recognition of Parkinson's Disease.